Illustration – do we live inside a hologram? 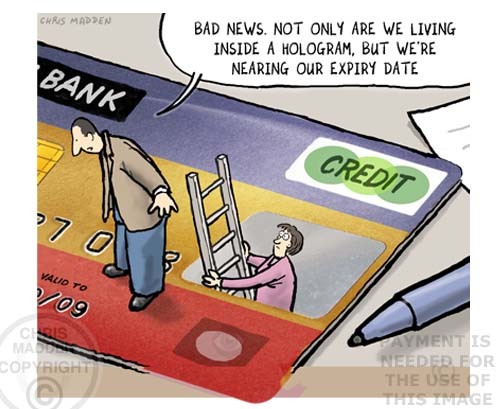 A cartoon showing people climbing out of the holgram panel on a credit card. The illustration is about whether our three dimensional reality is a form of hologram like projection or illusion. The joke is in comparing a grand theory of a hologramic universe with the mundane hologram on a credit card.